How to gain quick wins selling on marketplace? This is the third and final installment of our marketplace trilogy for merchants who wish to learn more about online marketplace. This is the third and final installment of our marketplace trilogy for merchants who wish to learn more about online marketplace. In case you miss the articles earlier, do read top 10 online marketplace to sell online in Malaysia and top 5 factors to consider before selling on any online marketplace. This time around, we are getting opinions and tips from three merchants who are actively selling on local marketplaces - Zen from Prado, Lawrence from Store4Online, and Johnny from LuvClo. All three business owners agree that marketplace site traffic should be the first on your checklist. Zen comments that most merchants expect to see immediate returns by joining any marketplace, without the luxury of waiting for the marketplace to grow its traffic and customer base. "We merchants invest our time on building the (product, promotion) content, so it only make sense to partner marketplace with substantial traffic and customer base in order to justify our effort and investment", explains Zen. Lawrence adds that merchants need to observe whether the marketplace is executing serious marketing activities to build trust and cultivate active online shoppers. He shares the same opinion with Zen on product preparation, "It is easy to sign with any marketplace, but if you invest your resources on product uploads plus committing certain stock level, you might not get the return you wish for if the traffic and sales is not coming, even worse your cash flow might be affected too". Johnny, who started LuvClo online store around six years ago, has only started to join marketplaces since last year. He comments that it is an important move to expand his sales channel, "We now have store at Lelong, Rakuten and Qoo10, with five-figures traffic volume visiting each of our store there every month, so it is definitely additional revenue on top of our own store". Zen agrees with our previous article on digesting sales pitch by marketplace, especially overseas ones. "Some of them boosted their traffic figure, and also their performance in other countries. However, whatever that is successful in overseas markets do not necessary apply here, at least for now", comments Zen. On which marketplaces to join, Lawrence mentions that there are plenty of options nowadays, whether to sell locally or globally (via eBay or Taobao SEA). "Store4Online prefers to join marketplace which sells everything under the roof, rather than vertical focus one. Customers not necessary will stick to one or two categories, we think that customers who shop for fashion might also want to check out our home and lifestyle offerings", adds Lawrence. On another hand, Johnny shares his findings that customer group is not much different between the three marketplaces LuvClo is in now. "Our casual range sells well between RM20 to RM30 on Lelong, while average order volume is higher on Rakuten with RM30 to RM50, and we focus on RM10 to RM30 best deal or group buy promotions on Qoo10", Johnny elaborates on having different promotion strategy to fit each marketplace. Prado (or under the name of Prado2u) has been presented in 22 local or foreign marketplaces, and Zen is currently focusing on 8 marketplaces. From his experience, he advises against going 'solo', and merchants should work hand-in-hand with respective account manager. "Try tap into the campaigns organized by the marketplace, in some cases they might even share part of your promotional cost", adds Zen. Lawrence agrees that it is important to work closely with marketplace to achieve win-win and grow together. "Marketplace has its own KPI to achieve and in most cases it is GMV, by driving orders to merchants. I prefer marketplace that assist to resolve in case of dispute between customers and merchants. Marketplace which provides e-fulfillment (warehouse management, packaging and delivery) also has an edge", adds Lawrence. Johnny acknowledges that his experience with account managers so far has been pleasant, each with different strength. "Lelong systematically arrange respective personnel for different kind of support, their staffs - both customer and merchant support are knowledgeable. Rakuten has E-Commerce Consultant (ECC) who are helpful to us in gaining exposure via campaigns, while account manager Qoo10 is always responsive and aggressive in promoting best seller items", explains Johnny. Every merchants might have their own preference of marketplace, and Zen's favourite is Lelong as he is able to access to customer data hence opportunity to build his own brand. "Other marketplaces are stricter as customers will have the impression of buying from the marketplace instead of the merchant. 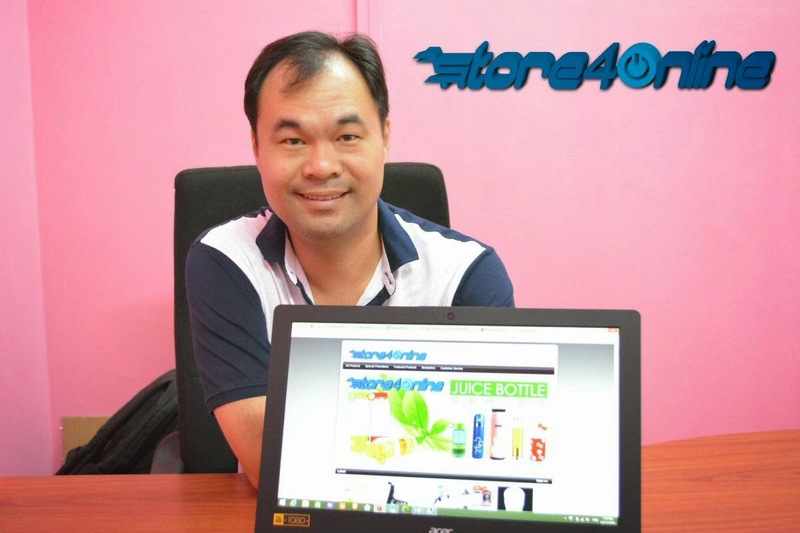 Lelong even allow merchants to execute online-to-offline marketing, as they encourage merchants to build their own brand and accumulate their own customer base", comments Zen. Zen is also skeptical on hybrid marketplaces citing that sometimes they kill the goose that lay the golden eggs, "When they see your product is hot selling, they will get their own buyer team to source the same product and sell at lower price than you. I don't think this is ethical, which make it difficult for us as merchant to maintain long term business relationship with such marketplace". Lawrence concurs with Lelong being 'open' with customer data access, while pinpointing it is not easy to upload products on Qoo10, limited number of products allowed for eBay normal seller, Rakuten's strict control of merchants promoting their own domain / channels, and active product listing requires approval by Lazada. However, Lazada provides flexible technical support to bulk upload the products, according to Lawrence. "Although Qoo10 Sales Manager is complicated to use but the functions they provide are comprehensive, and they provide service for merchants to sell to overseas conveniently", comments Johnny. On another hand, Johnny stresses that it is important to be able to reply to customer's feedback especially those who submitted bad reviews, "Rakuten doesn't allow this, hence it's a bit unfair to us as we are not given opportunity to clarify matters. However, Rakuten Merchant Server is quite comprehensive in terms of reporting (able to analyze visits, conversion rate, sales), discounting control for example able to set free shipping campaign by West and East Malaysia, something that is not available at Lelong or Qoo10". While Rakuten and Qoo10 offers good loyalty program respectively, Johnny singles out Lelong has strong product review and rating system. "Perhaps not many marketplaces are able to brag about this but the product sold quantity is a killer feature of Lelong, instilling confidence especially on first-time customers", adds Johnny. Without doubt, selling on marketplace is a quick win strategy, with merchant getting sales and marketplace taking selling commissions (some marketplaces have other revenue source like advertising and fixed fees). "I am not keen on paying fixed or annual fees especially if the marketplace doesn't have high traffic, payout to merchant fast and prompt enough is also an important factor", comments Lawrence. Zen wraps up with recommending Lelong as the ideal marketplace for sellers, "Lelong has high traffic and huge customer base, yet their store and transaction fees are low if not the lowest in the market, but in any case as a merchant it is about working with marketplace that's best fit to your business". ecInsider: How to gain quick wins selling on marketplace?